We all need a bit of extras for the dogs now and then. Maybe they need a health check or an injection, maybe you want some diet dog food or some need dog toys … whatever it may be, its worth knowing good veterinarians for emergencies with the dogs and a proper pet shop for all the accessories. There are a fairly good selection of pet shops in Javea and the surrounding areas. However I will recommend only 2. This does not mean that I consider those not mentioned bad, but simply that these are the 2 I use myself, they do not sell puppies or have any other malicious practices that I would object to. They are simply good pet shops that I use myself and am happy to recommend! Located on the Arenal nearby the Lancashire Bruja on the main entrance road towards the beach, El Palau De Les Mascotes is my favorite place to go for anything pet related in Jávea. They have a super selection of accessories for dogs (and other pets), the service is very friendly and you just get the feeling they love animals. Of course, El Palau De Mascotes does NOT sell puppies (which is good), but they do have a selection of other smaller pets for sale such as a strong selection of aquarium fish and reptiles. I am not an expert on other types of pets, but they seem to be looking after them well and the reptiles are all presented in terrariums sympathetic to their preferred habitats. El Palau De Mascotes can also help with basic over the counter remedies for pets such as flea spray and pills etc, which many pet shops in Spain do not carry in their stock. Overall, this is a highly recommendable pet shop in Javea with a good selection in stock, a willingness to order in anything they do not have in stock and friendly service all around. Animals is a much smaller pet shop with a more limited choice than El Palau De Mascotes, but it is conveniently located in the main shopping area of the arenal so quite handy if you just need a little goodie for your dog, a need food bowl or maybe some food for the aquarium fish. Animals do not sell live pets generally, sometimes theres a bird or two in there, but it is by all accounts a pet accessories shop. If you are new in town and havent yet learned Spanish, it counts on the plus side for Animals that the staff speak English. In Javea there are plenty of excellent veterinarians ready to help you maintain the health of your dog. If you need to relocate away from Spain, the veterinarians will also be able to provide you with all necessary health checks, blood works and passports. Exactly what is needed differs depending on the country you are headed to, but the veterinarian knows. There is no excuse not to take your dog with you when you move, all it takes is a short trip to the vet to get the dog prepared! La Nao are simply lifesavers in my book. The friendly vets are brilliant will all kinds of pets and have the facilities to perform largely all types of treatments and operations necessary. 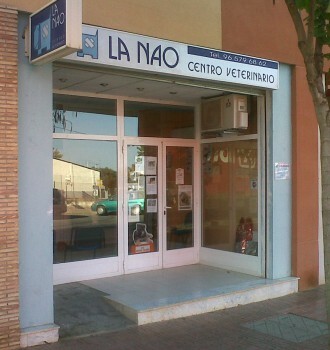 The vets at La Nao are Spanish but speak English fluently as well, which means that even if your Spanish is limited you can easily communicate and get the problems experienced with your pet across. The main vet inthere has shown an incredible magic touch with the animals I have brought in. A feral cat I brought in for treatment tried to shred me for just looking at it, but the vet managed to calm him down to an extend where she could examine him without any form of sedatives. I was amazed! In terms of pricing La Nao have almost been very modest in their bills to me, but of course it depends on the treatment how big the final bill is gonna be. The vets at La Nao are skilled and knowledgeable. If you are going back to England, Germany or indeed anywhere in the world, ask them what exact papers your pet needs – they will know and they will be able to perform the necessary tests and produce the documents needed for you. The veterinarians shop is located right in the middle between the 3 parts of Javea, the port, the old town and the Arenal with easy parking right outside by the Dia supermarket. 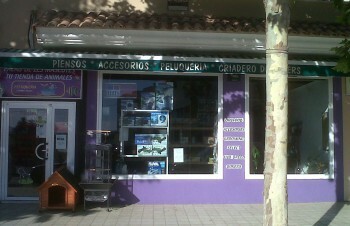 Javea has English speaking vets, proper pet shops with a good choice who do not sell puppies – make use of them. Have some happy times with your dog – and dont forget to support good local Javea veterinarians and pet shops!